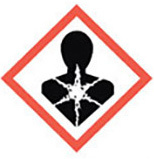 The Classification, Labelling and Packaging (CLP) Regulation ((EC) No 1272/2008) based on the United Nations’ Globally Harmonised System (GHS) has been since 1 June 2015 the only legislation in force in the EU for classification and labelling of substances and mixtures. CLP is legally binding across the EU Member States and directly applicable to all industrial sectors. 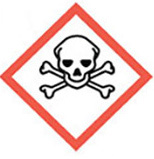 It requires manufacturers, importers or downstream users of substances or mixtures to classify, label and package their hazardous chemicals appropriately before placing them on the market. Although CLP is a separate legislation, the information it generates is part of REACH registration. The European Chemicals Agency (ECHA) is the lead authority for its implementation. One of the main aims of CLP is to determine whether a substance or mixture displays properties that lead to a hazardous classification. 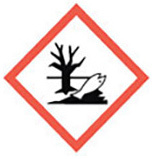 In this context, classification is the starting point for communication on hazardous substances. 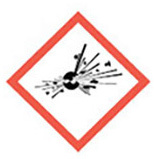 CLP allows for the identification of hazardous chemicals and the communication of these hazards to users through labelling. 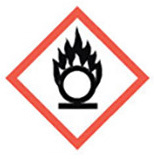 It also provides the basis for safety data sheets (SDS) regulated under the REACH Regulation, and sets requirements for the packaging of hazardous chemicals. 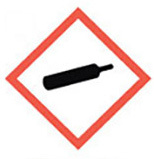 Once a substance or mixture is classified, the identified hazards must be communicated to other actors in the supply chain, including consumers. 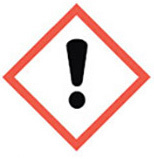 Hazard labelling allows the classification, with labels and safety data sheets, to be communicated to the user of a substance or mixture, to alert them about the presence of a hazard and the need to manage the associated risks. 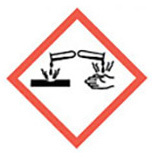 Regulatory compliance is paramount for all those within the solvents industry. ESIG member companies of HSPA (the Hydrocarbon Solvents Producers Association) and OSPA (the Oxygenated Solvents Producers Association) are working to ensure that classifications remain consistent, accurate and available. How are hydrocarbon solvents classified? 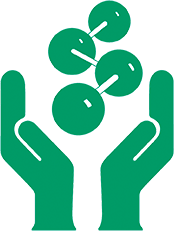 The classification and labelling for hydrocarbon solvents is based on substance definitions from the Hydrocarbon Solvents Producers Association (HSPA). This classification and labelling is only valid for products complying with the narrow definitions of HSPA substances. The Hydrocarbon Solvents Producers Association (HSPA) have elaborated a category approach for hydrocarbon solvents to include similar physicochemical and toxicological properties for the dossier preparation of each category. A naming system has been developed to characterise hydrocarbon solvents as a substance in order to properly identify similar substances in accordance with the REACH regulation. The category approach has enabled groups of similar hydrocarbon solvents which are mostly UVCB`s (Unknown, Variable, Complex or Biological substances) with similar physical/chemical properties and toxicology to be submitted within one dossier. How are oxygenated solvents classified? The classification of oxygenated substances can be found in the following document: Oxygenated solvents registered under REACH – key data. Glycol Ethers Online offers the best overview for classification of Glycol Ethers. Their explanation reflects classification harmonised at the EU level and self-classifications based on available data. What regulations existed before in Europe? The CLP replaced the Dangerous Substances Directive (67/548EEC) as well as the Dangerous Preparations Directive (1999/45/EC). Individual substance classification can be found on the ECHA website where an info card for each registered substance is available. Those cards have a link to the CLP inventory. Please note that information here is not verified. However, in the inventory the prevailing classification used in the registration dossier is indicated with a green tick. 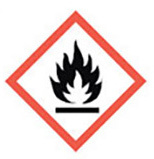 Visit ECHA online or contact your supplier for specific classification questions. The CLP classifications are based on the entries in table 3.1 of annex VI of the CLP regulation (EC N°1272/2008), and are confirmed by the REACH substance information exchange forums (SIEFs) and the consortia compiling the registration dossiers for the substances.When necessary, a self-classification has been adopted. This information is to the best of the ESIG/ESVOC’s knowledge and belief accurate and reliable as at the date indicated. However, no representation, warranty or guarantee is made as to its accuracy, reliability or completeness. It is the user’s responsibility to determine the suitability and completeness of information for their own particular use(s).